Stay Green and Spend Less Green! Former Wellplant executive Andriya Glessner now operates ConserveAwater. Featuring products originally marketed by Wellplant, ConserveAwater helps growers, farmers, landscapers and gardeners keep their plants healthy. With drought and water conservation becoming increasingly of interest today, products like Moisture-Loc (formerly Moisturin) and Root-Drench (formerly Root-Zone) help reduce water usage in plants and crops. For most farmers and other commercial growers facing water shortages, this means radical changes in how and what they grow. For individuals and organizations with lawns and landscaping, it means learning to do things differently, such as replacing the type of greenery in their installations—or removing it entirely. To reduce water consumption in turf, plants, trees and crops while enhancing their health, beauty and production. ConserveAwater works with all producers whose business requires irrigation in arid zones and agricultural water conservation. Thanks to Root-Drench and Moisture-Loc, ConserveAwater helps growers cut transpiration losses, water usage and irrigation costs. For golf courses, it cuts the frequency of lawn mowing too, which gives you still greater savings. Carrying on the Wellplant tradition, ConserveAwater was founded in 2015 to meet the increasing needs of water conservation due to climate change. ConserveAwater exists to help landscapers, nursery, orchard and golf course managers, gardeners and farmers in California and other arid areas save water. As a crusader for water conservation, company founder Andriya Glessner offers consulting services on the use of water-saving products for agriculture and landscaping. In recent years, for example, she has consulted with California’s olive growers on ways to improve water efficiency in their industry. Andriya is highly knowledgeable about water-conservation plant products and how they can help minimize drought impact on plants as California works to cope with the growing water shortage. Moisture-Loc is attaining excellent results in the cannabis growing industry! Moisture-Loc (formerly branded as Moisturin) plant protector is a foliar antitranspirant that forms a strong prophylactic membrane shield on leaves that significantly cuts water loss and lowers plant stress. Learn More. ZORRO Seal & Shield - When a Picture Paints a Thousand Words! Zorro Seal & Shield is a superior sealant that protects concrete and other hard surfaces while making for easy cleaning and preservation. Unlike many other sealants, Zorro Seal & Shield can bond to virtually any substrate. This high-performance coating is made with acrylic polymers designed for long-lasting and durable wear. It provides an ideal solution for a wide variety of problems commonly found in maintaining structures and helps reduce deterioration. I like to refer to Zorro Seal & Shield as my fail-safe product. I've personally conducted over 40 test trials with large greenhouse growers throughout the US and the results are always fantastic! The problem is I need to wait for six-month to a year to prove my point. This product is the bomb! Zorro is a surface sealer used widely for greenhouse sanitation. The sealer is now being utilized in manufacturing facilities and housing restoration projects. Less Water Means Less Disease! In the image to the right, you'll find stage three tissue culture planted on April 1, 2014 and sprayed with Moisture-Loc. The misters were not turned on for 7 days and the tissue culture still looks great! Read More to learn more about Moisture-Loc. Great results for Moisture-Loc and Grapevines. More data from this test study is available upon request. And please let me stress to use antitranspirants appropriately for frost protection. If a company recommends using an antitranspirant at dilution rates of 40:1 or higher, you are spraying mostly water on your plants and trees. I recommend diluting Moisture-Loc at 10:1 if utilized alone and 20:1 when mixed with pH neutral, water-soluble chemicals such as copper or other fungicides. It's critically important that the product you choose creates a protective barrier! Although this test study was conducted on conifers, it clearly demonstrates the effectiveness of Moisture-Loc in reducing transpiration. The tree that was treated with Moisture-Loc at a 20:1 concentrate, cut at the base and left out in the elements for over two months is still green and pliable. Moisture-Loc also provides a clear prophylactic barrier that protects plants and trees against insects and disease. Imagine how this product could work on vines in preventing numerous costly issues. Moisture-Loc also mixes well with other water-soluble ph neutral chemicals (fungicides), enhancing the longevity of your chemical application. Feel free to ask for a sample and conduct your own test. Click on the image below to review details on test results and application information. Our products are ideal for successful propagation of cuttings or seedlings. Customer Testimonial: "I have been using Moisture-Loc for approximately 17 years as an anti-transparent. I spray all of our tissue culture in 2î band pots, just prior to transplanting. This summer we sprayed Moisture-Loc on October Glory softwood cuttings, just after applying a rooting hormone. The leaves were allowed to dry and then the flats were put in misting tents for 4 weeks. When we removed the flats for acclimation, the cuttings sprayed with Moisture-Loc were very healthy with no losses. This next year I will be treating all of our softwood cuttings with Moisture-Loc prior to putting in misting tents." Start with your chosen plant and clip off a cutting from the plant at a 45° angle. Cut carefully the leaf stem 1/8th to 1/4 inch away from the node. Trim bottom and ½ leaves. Dip cuttings into a rooting compound of your choice. Spray thoroughly both underside and top side of foliage and allow to dry. Insert into growing medium, making sure temperatures stay within 70 to 80 degrees. Mist and water daily making sure of proper drainage and successful rooting. Cuttings need a good source of light. Moisture-Loc will reduce water loss, wilt and stress. Moisture-Loc is relatively odor free, easy to use and easy to clean up, with no phytotoxic (poisonous) affects to your plant. Moisture-Loc dries as a clear barrier forming membrane on the plant surface and will also protect your delicate cuttings from insects and disease. Moisture-Loc does not require REI (re-entry time) and dries as a clear barrier forming membrane on the plant surface. Moisture-Loc is non-toxic to plants, the earth and you. TESTS FROM Steven C. Grossnickle, PH.D — CellFor Inc.
Control seedling shoot systems dried rapidly after exposure to a drying event. This rapid drying continued beyond the point that seedlings had supposedly closed their stomata, indicating that these seedlings had yet developed a sufficient cuticle to avoid desiccating drought conditions. The Moisture-Loc product was effective at reducing the water loss from miniplug seedlings. As the application concentration of Moisture-Loc was increased, there was a dramatic reduction in seedling water loss. LeafShield (Another antitranspirant product that wax coats seedlings but has some toxicity effects on subsequent seedling performance.) applied at the recommended rate was nearly as effective as Moisture-Loc at a 30:100 concentration. Immediate drought stress of seedlings in Zone #3 resulted in only 82% seedling survival (@2 weeks) in the control treatment. The application of Root-Drench resulted in minimal mortality with the highest concentration resulting in 100% survival. Three weeks after the application of the Zone #3 hardening treatment (and weekly applications of Root-Drench), seedlings were then given enough water to allow them to resume growth. The continued application of Root-Drench resulted in an increased resumption of seedling shoot flush and root growth. The two highest concentrations of Root-Drench resulted in 97% of seedlings having flushed their shoot systems with >90% of these seedlings showing new root growth. Customer Testimonial: "As you know we have been using Moisture-Loc under our own label for the past few years. We sell our product as a plant protector and anti-transpirant to improve the success rate of cuttings, clones and grafting. Because our sales have doubled each year, we have to assume that the results are really impressive especially on softwood cuttings. Thank you for supplying us with a wonderful product." Mold Manager provides long-term protection against the growth and regrowth of Mold, Mildew, Algae and Moss by blocking the path to microbial sporulation. Mold Manager is not a killer of mold, mildew, algae or moss. It forms a barrier to stop future growth by blocking the spores ability to grow on top of the surface you are trying to protect. Mold Manager can protect most hard surfaces for a year or longer. Click here or on the image below to see examples of Mold Manager in action. Moisturin is a dual purpose clear liquid plant coating that forms a permeable barrier on plants that significantly reduces plant stress due to water loss. The barrier also protects against UV degradation, drying winds and other drought related conditions. University studies show that Moistruin reduces water use by 30%. Keeping "The Peoples Tree" Green! Again! WellPlant formally GSI Horticulture, is honored to be helping the 2013 Capital Christmas Tree for it's month long road trip from the Colville National Forrest in Northeast Washington State to Washington D.C. We are proud that two of our products, Moisturin and Rootzone are being used for such a prestigious tradition. Exciting news! WellPlant to sell direct! We want to bring cost savings to you while protecting your investment! Cost to growers is up to 30 percent less than any other anti-transpirant. 10 times more effective than any sticker. Moisturin can be used this winter as a sticker that won’t degrade in the rain. It can be used to prevent frost damage, or as a barrier to fungal disease! WHAT IS THE RED BLOTCH VECTOR? DOESN'T MATTER...NUKE EM! Its that time of year again! The pest are coming. But that is old news. Whats different about this year? There's a little something called the Grape vine Red Blotch Virus (GRBaV) that is spreading. So how do we treat something like this? Is there really a sustainable method? How about a pesticide that decimates white flies and leaf hopper popuations. A pesticide that is made with food grade ingredients and has no REI. Or maybe a foliar spray that forms a prophylactic barrier over your vines that pathogens can't penetrate. Sounds good to me! What do you think? We can only speculate on what the cause of the spread of (GRBaV) will be. So why not use common sense. Ease your mind and protect your vines now before its too late. Check out www.wellplant.com to see more information on protective products. Its that time of year again! The pests are coming. But that is old news. Whats different about this year? There's a little something called the Grape vine Red Blotch Virus (GRBaV) that is spreading. So how do we treat something like this? Is there really a sustainable method? How about a pesticide that decimates white flies and leaf hopper popuations. A pesticide that is made with food grade ingredients and has no REI. Or maybe a foliar spray that forms a prophylactic barrier over your vines that pathogens can't penetrate. Sounds good to me! What do you think? We can only speculate on what the cause of the spread of (GRBaV) will be. So why not use common sense. Ease your mind and protect your vines now before its too late. Check out www.wellplant.com to see more information on protective products. NUKEM! KILL MOLD, MILDEW, AND PESTS WITH USDA FOOD GRADE INGREDIENTS! Nuke em is a safe and effective naturally brewed Insecticide / Fungicide designed to exterminate small pests like Spider Mites, White Fly, Aphids, Powdery Mildew or Molds. Nuke em is Non-Toxic and made with food grade ingredients. Nuke em is generally regarded as ‘Skin Contact Friendly’ when used as directed. Nuke em uses no petroleum, plant oils, chemical detergents, chemical surfactants, soaps, perfumes or carcinogenic ingredients in its formulation that would make the sick sicker or alter the smell or taste of plant flowers or produce. How does Nuke em Work? The inert ingredients in Nuke em quickly work todispense and drive the Potassium Sorbate into the body of the organism. This process kills the insect, egg or fungus within a short period of time. Once Nuke em has dried its ingredients go dormant but will be reactivated by high humidity or micro sprays of water. This reactivation process will help keep new molds and mildew spores from easily spreading. When do you use Nuke em? Nuke em should be applied to leaf surfaces when insects, mildew or molds are present. It should be applied at the coolest part of the day and/or when wind is low so that the contact time with pests is as long as possible. Nuke em can be appliedthroughout the growing season and may be used the day of harvest or even after harvest should the need arise. Nuke em represents the very best and latest discoveries in the science of natural chemistry and symbiosis. Nuke em is generally considered as ‘Skin Contact Safe’ so it is very safe and easy for peopleto use and therefore it is safe for pets, live stock and wild animals. Nuke em replaces old style insecticides/fungicides that have been linked to cancer, ailments and environmental pollution. We must protect our natural resources; Nuke em willnot hurt ground water, streams, rivers, lakes orbeneficial micro-organisms in the soil. Nuke em will not slow the growth of plants like oil and detergent based insecticides will. Thanks to recent technological breakthroughs, Nuke em is the very best insecticide/fungicide on the market today! •Nuke em is ‘Skin Contact Friendly’ which is extremely important for the well being of crop maintenance personnel who are the backbone of crop protection. •Nuke em reduces the instances of personnel applying for State Worker Comp insurance from exposure to pesticides/fungicides. Reduces lost labor time to toxic exposure injury. •Nuke em greatly reduces the chances of litigation from maintenance personnel who apply the pest controls that the owner/grower chooses to apply to the plants. •Re-entry into the greenhouse after application is the time it takes for Nuke em to dry. •Nuke em replaces toxic chemicals, detergents, surfactants, petroleum, heavy metals and plant oils that are harmful to ground water, streams and biologically diverse soil. •Nuke em will not slow plant growth like oil and surfactant based pest management products do.Will not reduce light to the leaf or clog stomata. •Nuke em will not lower the value of produce; it will not alter taste or bouquet. •Nuke may be used on the day of or after harvest to control pests. •Last but not least, Nuke em kills leaf dwelling pests, their eggs and larvae on contact. Moisturin concentrate provides a unique advantage preventing bacterial or fungal infection. Grapevine diseases can be cause for hundreds of millions of dollars in crop loss each year. Vineyards worldwide are afflicted with fungal pathogens which harm the plants and slow vine production. This includes infection of vines that are most vulnerable during the pruning season. Typically the sealants used, are designed to “stick” a fungicide or pesticide to the vine after pruning. This requires having a heavy labor overhead and the use of caustic chemicals that require EPA registration. protection during the winter months with a single application on most wooded plants. WellPlant's unique product Moisturin that protect plants against environmental stressors such as heat, cold and wind – and other stresses such as digging, storage, transporting and transplanting is being tested in three major California grower operations over the coming months. The product will be tested for improved shipping conditions and vine health as well as for early spring frost protection. Moisturin is a dual-purpose clear liquid plant coating that forms a prophylactic shield on plants and significantly reduces plant stress due to water loss. This physical barrier also protects the plant against UV degradation, frost, windburn and acid rain. For more information about Moisturin and other products that WellPlant provides, visit http://www.wellplant.com/ please contact Andriya Glessner at aglessner@wellplant.com. Two products from WellPlant Inc., Moisturin and Root-Zone, are once again helping to reduce the stress from moisture loss on the 2012 Captitol Christmas Tree on its 24 day journey to Washington D.C. from Meeket, Colorado. 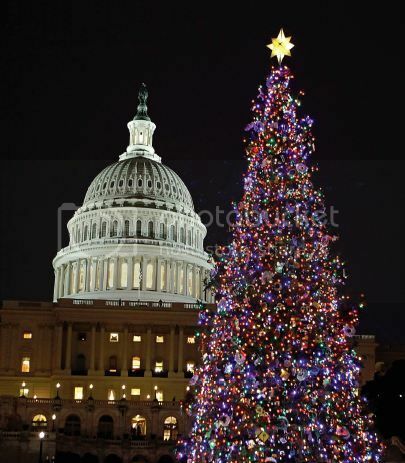 Often called "The People's Tree," the 2012 Capitol Christmas Tree will be presented to Congress as a gift to the nation. It will be harvested on the Blanco Ranger District of the White River National Forest, near Meeker, Colorado. Prior to cutting, the tree will first be treated with Root-Zone, a drench antitranpirant, whcih will be soaked into the roots of the tree. Root-Zone conditions plants to produce additional amounts of abscisic acid, thus closing the stomata and reducing its own transpiration rate naturally. Next, the tree will be trated with Moisturin, a foliar antitranspirant, which will be sprayed on the branches of the tree to precent moisture loss through the needles. When the tree is cust on November 2nd, it will be brought to the town of Meeker for a community celebration and wrapped for its long journey. A special "boot" filled with Root-Zone will be placed on the root ball to keep iot moist while on the road. The tree will spend several weeks visiting communities and military bases across the country, and will arrive at the Captitol shortly after Thanksgiving. WellPlant, Inc., formerly GSI Horticultural, is honored to have our products used for such and important event. For more information on using Moisturin and Root-Zone for your own commercial or personal use, visit WellPlant.com. Protect your plants from frost down to 25 degrees. KEEPING &QUOT;THE PEOPLES TREE&QUOT; GREEN! AGAIN!